A Commission was summoned to try Mary at York. In early September, Moray sent the documents now known as the Casket Letters, to Cecil.These letters, widely believed now to be forgeries, and little regard by the English Commissioners at the time, purported to show, via correspondence between Mary and Bothwell, that they had had an affair before Darnley’s death, and conspired to murder him. They had not been produced previously, during Mary’s imprisonment at Lochleven, and only one had been referred to, but not produced in the December Parliament which had confirmed her abdication. (For a full discussion of the letters, see Antonia Fraser’s Mary Queen of Scots or John Guy’s My Heart is My Own – reviewed here). Moray attended the Commission, which opened on 4th October 1568, in person, together with Morton, Maitland and three secretaries. It was to be presided over by the English Duke of Norfolk, assisted by the Earl of Sussex and Sir Ralph Sadler. Before submitting to the Commission’s authority, Moray requested that a judgement would be made on Mary’s guilt, and if it were proven, Elizabeth would not do anything to restore Mary to the throne. He was given the reassurance he sought. Before the formal proceedings began, Moray amused himself by travelling around Yorkshire – visiting Beverly, Hull and Pontefract, where Sussex arranged for him to be well received. Mary, at first, planned to attend herself, but changed her mind when she finally understood that, far from the Commission having been set up to enquire into why Moray and the others had rebelled against her and deposed her, it was to be a trial of her alleged involvement in Darnley’s death. Refusing to be tried by an English court, she decided to send Commissioners in her stead – this was all to the good as far as her enemies were concerned. The last thing they needed was Mary disputing manufactured evidence in front of people who might, just possibly, be impartial. The Commission proceeded, being removed to London at the end of the month. It was soon apparent, however, that no real trial could possibly be welcome to any of the participants. If Mary were shown to be innocent, then Moray and the rest would be condemned as forgers, and Elizabeth would have little option but to help Mary back to her throne. If Mary were found guilty, then Elizabeth would be obliged to hand her back to Scotland, where she would certainly be executed – not an option that was at all palatable to a fellow monarch. So a sordid compromise was reached between the English and Scottish governments. 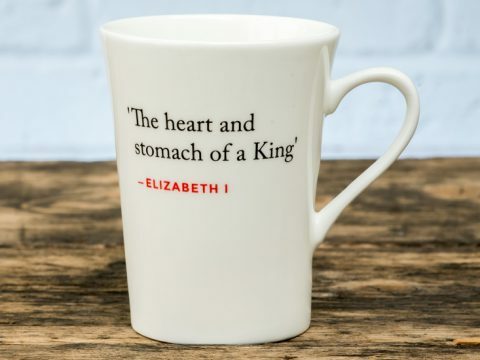 Mary’s name would be so thoroughly besmirched, without her ever being able to defend herself, that Elizabeth would be justified in keeping her in captivity, but not obliged to hand her over to certain death. Moray and Morton testified, and produced the Casket Letters, but Mary was not permitted to appear and, when her representatives finally protested the illegality of the proceedings, they were ignored. Eventually, on 11th January 1569, the Commission was dismissed. The verdict was that the Scottish lords had not proved that Queen Mary was guilty of any crimes, but nor had any evidence been shown to convict the lords of rebellion. Moray, Morton and the rest travelled back to Scotland, Moray with the sweet sound of £5,000 jingling in his saddlebags and the Casket Letters rustling in their snug silver box. Mary remained incarcerated. Moray now settled down to the business of being Regent, but his path was not smooth. From initially acquiescing in the Queen’s deposition, enough of her subjects, particularly the Hamiltons (Chatelherault and his sons and family), Huntly, Herries and Maxwell formed what became known as the Queen’s Party, in opposition to the King’s Party. At the very least they wanted Mary nominally restored as Queen, perhaps in joint rule with her son. There were constant disturbances and Moray spent much of 1569 riding around the country to suppress rebellions led by the Queen’s supporters. A match had been suggested between the English Duke of Norfolk, a Protestant, and Mary. Initially, Moray seemed to favour the idea, until he concluded that such a match, even if the plan was, ostensibly, that Mary should stay in England, was unlikely to end well for him. When the Kirk Convention, held on 25th July, 1569, was asked to approve a divorce between Bothwell and Mary (who had been married according to Protestant rites), he refused to approve it, and carried the majority of the Convention with him. Voting in favour of the divorce were Moray’s former allies, Argyll, Maitland and Balfour. Furious at this betrayal, Moray ordered Maitland’s arrest on the grounds of involvement in Darnley’s death, sending him to Edinburgh Castle, held by Sir William Kirkcaldy of Grange, who, unknown to Moray at this juncture, was also looking for the restoration of the Queen. But Maitland knew too much, and Moray did not proceed with a trial. In late December 1569, Moray tried to overcome the Queen’s Party, which still held the impregnable fortress of Dumbarton, under the captaincy of Lord Fleming. Fleming and the Hamilton brothers – Lords John and Claud – despite being offered immunity from prosecution if they surrendered, held out.They had another plan – nothing less than the assassination of the Regent. A member of the Hamilton clan, Sir James Hamilton of Bothwellhaugh was chosen to do the deed. He had a personal grudge against Moray, as, following the Battle of Langside, where he had been a captain in the Queen’s army, his lands had been forfeited. Armed with a carbine (an early handgun), he followed Moray as the Regent travelled back from Dumbarton to Linlithgow. Hamilton spent the night in the Archbishop’s house, then, as Moray passed by on horseback, shot him from an upstairs window. The bullet hit Moray in the abdomen, but did not kill him immediately. Dismounting, he walked back to his lodging, but his condition deteriorated and he died that night. The date is variously given as the 21st or 23rd January, 1570. Hamilton made good his escape, and spent the rest of his life in France, granted a pension by Mary, who said she was indebted to him, although she had not instigated the act. Moray’s body was taken to Holyrood Palace in Edinburgh.His coffin was then carried by the men who had supported him throughout his career – Morton, Lindsay, Glamis, Ruthven and others - to St Giles Cathedral. His mother, Margaret Erskine, Lady Douglas, also attended the funeral. Despite disapproving of excessive funeral orations, Knox made an exception in this case, and preached a sermon which moved the congregation of some three thousand to tears for the loss of their ‘good and godly’ regent. Scotland descended into faction fighting that was little better than civil war. Moray left a widow and three daughters (one not born until after his death). The eldest, Lady Elizabeth Stewart, inherited her father’s earldom. Lady Moray remarried within eighteen months of Moray’s death – to the brother, and heir, of Moray’s erstwhile ally, the Earl of Argyll. She pursued a long and acrimonious battle with the Scottish government for reimbursement of the costs Moray had defrayed whilst Regent. This is a more understanding portrait of him, than perhaps can be supported by all the evidence. Whether or not Moray was complicit in the murder of Darnley, and the evidence against him is not much stronger than the evidence against Mary, he was undoubtedly a party to the assassination of Riccio, and despite his protestations about loyalty to Mary, this loyalty never extended to doing anything contrary to his own interests. He might well have made an effective King of Scots, had his parents been married, and he does not seem to have indulged in the personal violence that Bothwell, Morton, Ruthven and some of the other lords indulged and even, ironically, had prevented a death sentence being pronounced after the Battle of Langside on the man who would eventually assassinate him, yet, whilst he liked to keep his hands clean, he was glad enough to take advantage of others’ misdeeds to obtain power for himself.